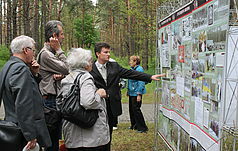 Galleries - National historical and cultural reserve "Bykovnyanskie graves"
Opening of the Exhibition "Bykovnia - Territory of Memory" in Museum-Reserve "Popov Homestead"
April 11, 2017 The National Historical and Memorial Reserve "Graves of Bykovnia" was visited by the Deputy Minister of Foreign Affairs of the Republic of Poland Mr. Marek Zyulkovsky accompanied by representatives of the Ministry of Foreign Affairs. 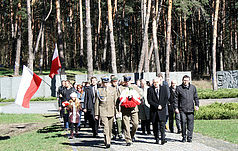 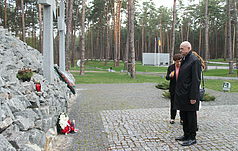 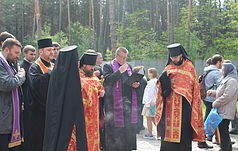 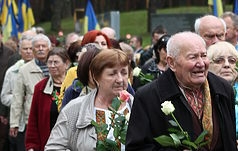 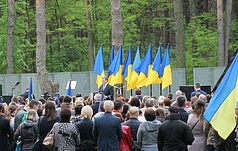 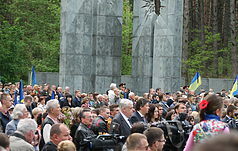 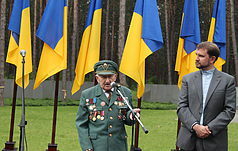 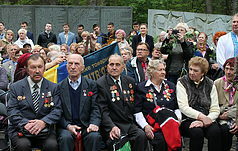 On April 9, 2017, on the eve of the 7th anniversary of the Smolensk disaster, in which the leadership of the Polish state died, mourning events took place on the territory of the reserve with the participation of the Ambassador Extraordinary and Plenipotentiary of the Republic of Poland in Ukraine, Mr. Jan Peklo, representatives of the Embassy and Consulate General of the Republic of Poland in Kiev, The Catholic Church in Ukraine, leaders and members of Polish organizations in Ukraine, representatives of the public of Kiev, as well as employees of the Reserve. 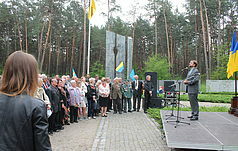 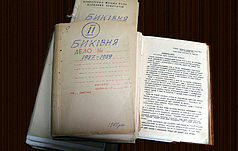 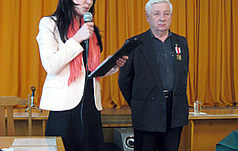 On March 30, 2017, the funds of the National Historical and Memorial Reserve "Graves of Bykovnia" were replenished with documents, books, diaries, photographs from the personal archive of Nikolai Lysenko, a long-time researcher and investigator of the Bykovnya tragedy. 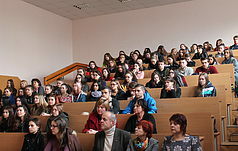 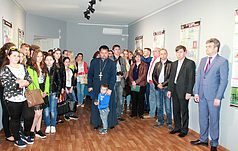 March 17, 2017 the premises of the Book Chamber of Ukraine (Kyiv, Yuri Gagarin Ave, 27) hosted the presentation of the photo-documentary exhibition "The Word Broken in Bykovnia." 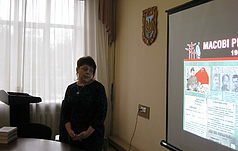 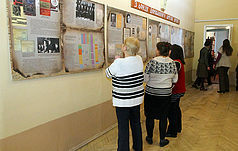 The exhibition was created by the joint efforts of the National Historical and Memorial Reserve "Graves of Bykownia", the Book Chamber of Ukraine and the Ukrainian independent publishing house “Smoloskyp" and is devoted to the fate of writers representatives of the " Executed Renaissance" generation, killed during 1937-1939 in NKVD USSR prisons in Kiev and buried in the territory of a secret special stage in Bykovnia forest. 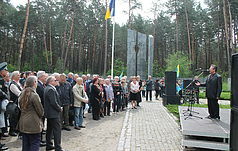 February 25, 2017 members of KyivCity Society of Greeks named after Constantine Ypsilantis and the management and staff of the National Historical Memorial Reserve "Graves of Bykivnia" commemorated the victims of the "Great Terror" destroyed in the course of the so-called "Greek operation."